Check serial data-output for reasonable values before switching on the steppers (by the powersupply; the nano meanwhile can run "dry" by getting power from the USB-datacable). Do this with holding a metal plate in 0mm up to 30mm distance. 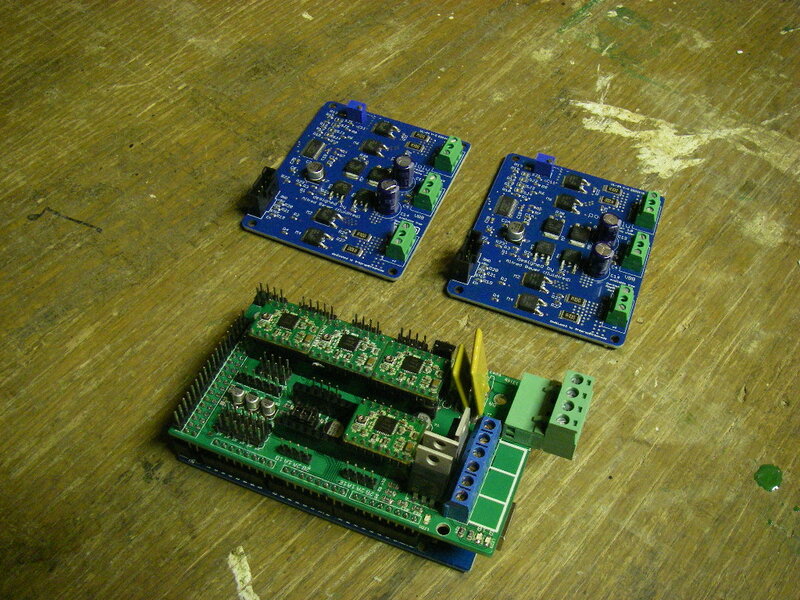 Dont start the steppers, without having the sensorhead installed and holding a metal-plate in front of it. Other wise it would produce zero-values and when trying to balance the algorithm would add more and more steps for compensation and the stepper would go through the wall. Startposition is with 0mm distance. From this it will take a sample and then goes to 30mm and take another sample for calibration. Then it will go in a loop and trying to balance the distance around 15mm. I am going to upload a new firmware-version where endstop and jogwheel button will be integrated. Then the 0mm-position will be found automatically by homing. The 15mm will act as a default-value, but if you then push the button you switch from autobalancing- into manual-mode and change this 15mm-default-value by turning the jogwheel. Pushing again switches back into autobalancing mode. - Lesson learned (the hard way): The Arduino Nano analog ports A6 and A7 can NOT be used as digital-input-ports, like A0 to A5. see  and there  as a workaround. Lesson learned: When doing a pcb-layout then do *first* the mount-holes and *afterwards* the entire routing !!! THCctrl, TB6600: In some wiring diagrams you find a common +5V line on EN,DIR,PUL (=STEP) in others they have a common ground. It seems that both is possible, see: ,  and the links in Chas' log. In RAMPS-like configurations it is often seen as common-ground connection  and sometimes with EN left unconnected. I assume its ok to connect EN, because otherwise the state of the stepper cannot be controlled externally. EN means that the stepper is active and draws current even if it doesnt move (and therefore getting warm). But there can be situations where its safe to inactivate that, e.g. wehn a 3Dprinter disables the steppers as soon as the print is finished. So this should be manageable by the controler. An interesting extension to this idea could be to let any class produce the printers for the next class (and take home a printer from the last class). So any printer creator becomes a kind of responsible godfather to someone elses printer (social relation ;)) Dont know whether the attendees really want that (but one could ask them; the surplus bonus is a nicely calibrated and perfectly running printer). Lesson learned: I tried in Kicad unsuccessfull different ways to import the 3d .wrl-files automatically, eg. by environment path-variable $KISYS3DMOD, but it is however possible to assign manually a 3d-form towards a footprint by editing its parameters (right mouseclick over footprint, then choose the footprint and in its 3d-settings the "add form" button) and let it point towards your local library-path .wrl-file. There you can also correct wrong orientations of the object, e.g. in a diode. This is a known problem and theoretically there exists a way to fix it, see https://rheingoldheavy.com/new-stable-kicad-10-steps-to-import-an-old-kicad-project/, but its way to complicated to go through this procedure. Meaning, since Pauls circuit is not too complicated its probably far less work to simply rebuild it from scratch. what about mechanical probing ? https://www.indiegogo.com/projects/bltouch-auto-bed-leveling-sensor-for-3d-printers#/ Answer: probably not well suited because of the heat. - supportet Rails  would be nice for better stiffness and rigidity (see  at minute 0:30) . Makes a price difference of about 20,- EUR or less per m .
* Instead of one 1"-shaft we could use two 1/2"-shafts to resemble the recent unversal axis design as is. ==> simplyfied end-pieces (they are only needed to fix the belt). 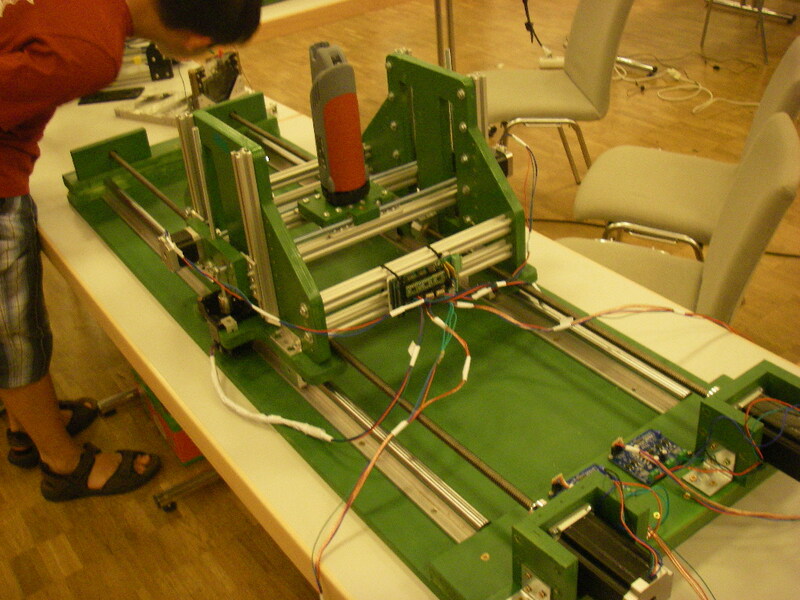 - Universal Controler: Powerlolu as stepperdriver for heavier loads ? * I tested them already   in combination with RAMPS and so far they seemed to work well. This page was last edited on 31 October 2017, at 19:13.